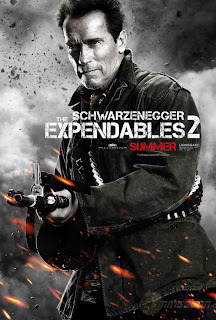 A new trailer for the Expendables 2 has been revealed. The new trailer confirms that Arnie will be picking up the guns once again and that Van Dam will not be playing a good guy in this movie. I enjoyed the last movie and just took it for what it was. A movie with the A list oF hollywood heroes with loads of explosions and fighting. I am sure the second will be no different.